ANKARA: Electoral officials ordered a second recount of votes in an east Istanbul district on Monday, after two weeks of appeals by President Tayyip Erdogan’s AK Party against results showing it had narrowly lost control of Turkey’s largest city. Repeated AKP challenges to the initial results have led to growing frustration among supporters of the main opposition CHP, which spilled over onto the football terraces at the weekend when Istanbul’s top teams played two derby matches. 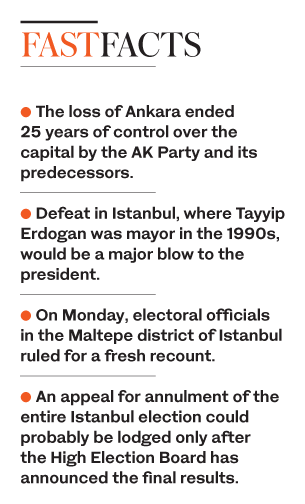 The loss of Ankara ended 25 years of control over the capital by the AK Party and its predecessors. Defeat in Istanbul, where Erdogan was mayor in the 1990s, would be an even greater blow to the president who has dominated Turkish politics through a decade and half of repeated election triumphs. 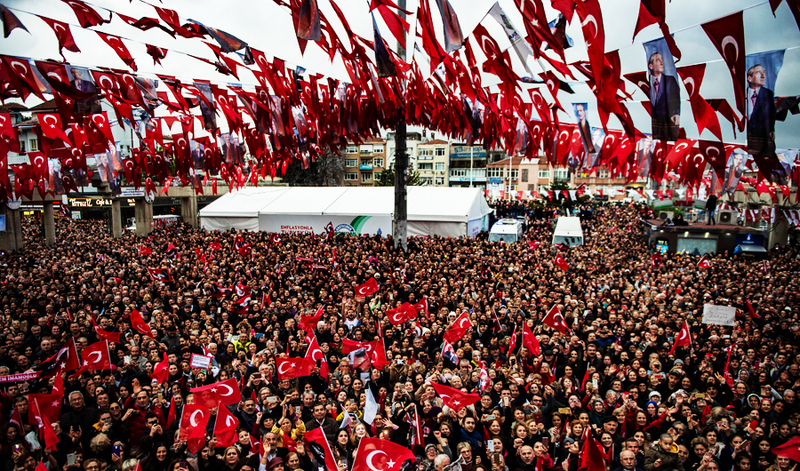 On Monday, electoral officials in the Maltepe district of Istanbul, where a recount of votes in 1,089 ballot boxes had already been underway for nearly a week, ruled for a fresh recount after an appeal by the AKP and their nationalist MHP allies, broadcaster NTV said. After that it may have to rule on a call by Erdogan — not yet formally submitted by the AKP — for the entire Istanbul election to be annulled over what the party said were irregularities that affected the outcome.